The Soundgarden frontman was aged 52. Chris Cornell of Soundgarden and Audioslave has died aged 52, according to reports by The Associated Press. In a statement to the AP, Cornell's representative Brian Bumbery said that the death was "sudden and unexpected." Cornell's family has asked for privacy, according to Bumbery's statement, and they will be working closely with the medical examiner to determine the cause of his death. 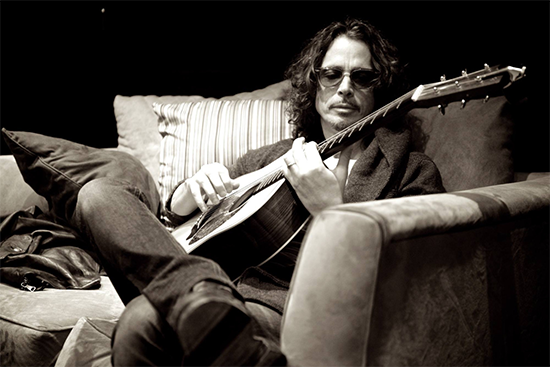 The singer died Wednesday night while on tour with Soundgarden in Detroit. He tweeted about the band's sold-out concert hours before his death, saying of Detroit: "finally back to Rock City!!!!" Cornell formed Soundgarden in 1984 with bassist Hiro Yamamoto and guitarist Kim Thayil going on to release six albums including 1994 hit Superunknown, while supergroup Audioslave was formed in 2001 comprising Cornell, guitarist Tom Morello, bassist Tim Commerford and drummer Brad Wilk. They released three albums and split up in 2007.